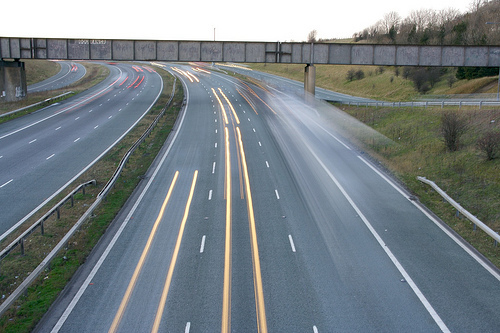 Are the UK’s Motorways Safe for 80mph? 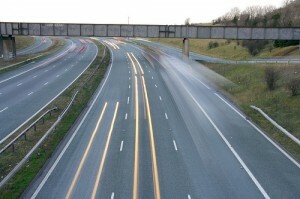 What do you think of the plan to increase the motorway speed limit to 80mph? Maybe you already do 80mph or – gasp –more on a regular basis. If this is the case then you will want to see what the people at the Road Safety Foundation have to say on the matter. The official word after an inspection of all 4,350 miles of motorway network in England is that it is “unsuitable” for an 80 mph limit. It seems that only half of the network has crash barriers which can be regarded as being of the standard necessary to protect drivers who lose control. There are also problems it seems with too many trees being too close to the motorway lanes. Strangely, crash barriers and trees are among the things I never look at while I am driving on the motorway (my own reflection in the rear view mirror and my feet are a couple of the others). However, I am going to take the Road Safety Foundation investigation as being proof that we are lacking in crash barriers but overly endowed with trees along the nation’s motorways. Having said that, aren’t these crash barriers also a tiny bit important at 70 mph as well? I am not really sure that a difference of 10 mph is enough to make a huge difference when your car hurtles off the road and smacks into a crash barrier. It seems that some of the crash barriers have been left unrepaired following old accidents. The idea of the rise in the speed limit comes with the theory that cars are now safer than ever before. This is something you won’t find me arguing with but the safety levels of the motorways themselves clearly need to be taken into account as well. The president of the AA is called Edmund King and he said that “some stretches of motorway” are better suited to an 80 mph limit than others. This entry was posted in News and Views, Reports and Surveys and tagged AA, car, Edmund King, England, Foundation, LS, LV, MoT, road safety, Road Safety Foundation, speed, Speed Limit, UK by Robert Bell. Bookmark the permalink.